Extreme inequality is out of control in Kenya. Despite an impressive economic growth since 2005, poverty still affects millions of people’s lives. It appears that a minority of wealthy individuals and investors are creaming off the yields of the country’s economic performance. While this minority of super-rich Kenyans are accumulating wealth and income, the fruits of economic growth are failing to trickle down to the poorest. The rich are capturing the lion’s share of the benefits, while millions of people at the bottom are being left behind. If inequality remained at the same level for the following five years, 2.9 million more people could be living in extreme poverty. 8.300 The gap between the richest and poorest has reached extreme levels in Kenya. Less than 0.1% of the population (8,300 people) own more wealth than the bottom 99.9% (more than 44 million people). The richest 10% of people in Kenya earned on average 23 times more than the poorest 10%. 80%The number of super-rich in Kenya is one of the fastest growing in the world. It is predicted that the number of millionaires will grow by 80% over the next 10 years, with 7,500 new millionaires set to be created. 1.1 billionCorporate tax dodging is undermining Kenya’s tax base. Kenya is losing $1.1bn a year to tax exemptions and incentives – almost twice what the government spends on its entire health budget in 2015/16, in a country where mothers face a 1 in 40 chance of dying in childbirth. 1 millionUnequal access to opportunities, such as healthcare and education, is rife. Nearly one million primary school-aged children are still out-of-school – the ninth highest number of any country in the world. 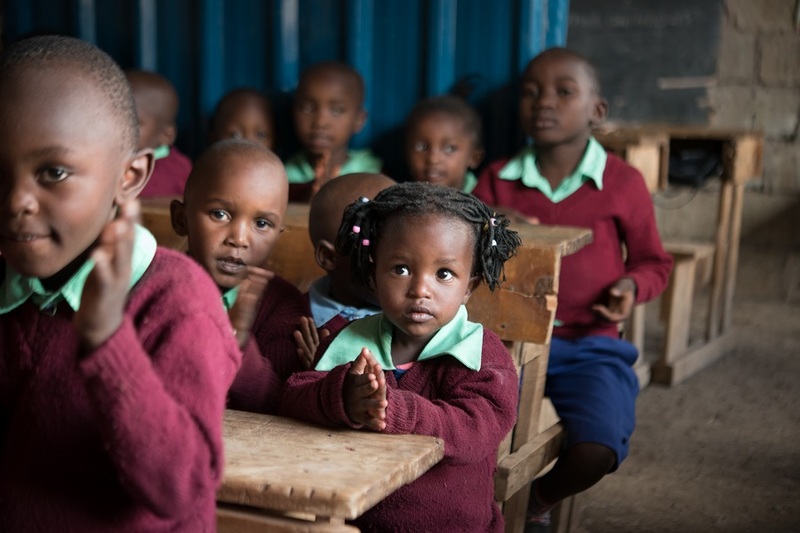 Kenya's level of spending for education has gradually fallen each year since the early 2000s. 2.6 millionDespite some improvements in health status over the last decade, the government spends only 6% of its budget on health. A quarter of the Kenyan population regularly lack access to healthcare. A recent study estimated that nearly 2.6 million people fall into poverty or remain poor due to ill health each year. 6%Gender inequality is prevalent in Kenya. Economic policy is not only creating extreme inequality, but also holding back women's economic empowerment. For example, despite 96% of Kenya’s rural women population working on farms, only 6% of the women in Kenya hold a title to land. Extreme inequality is not inevitable, it is a matter of political choice. To reduce it to sustainable levels, the Kenyan government should implement economic policies and legislation to reform the fiscal system, raise sufficient financing for free, quality public education and healthcare, and close the economic inequality gap for women. By doing so, it could help to lift millions out of poverty and ensure a more equal and prosperous future for all Kenyans. In 2017, you’re still more likely to be poor if you’re a woman. But the women in this film are fighting back. Meet the domestic workers challenging unfair pay, job insecurity and lack of rights at work in Kenya. Together, they are helping to end poverty. In Kenya, the highest poverty levels are in the northern pastoralist districts. It’s estimated that by 2050 half the Kenyan population will be living in urban areas.